LUBAGA – Ailing Mityana Municipality MP Francis Zaake has on Thursday morning been taken out of Lubaga Hospital and is on his way to Entebbe Airport ahead of being flown to India for treatment. Mr Zaake, who is accompanied by his wife Bridget Namirembe, is being flown out on the recommendation of Lubaga hospital management, which on Monday wrote to government, warning that he may suffer permanent disability if not treated. 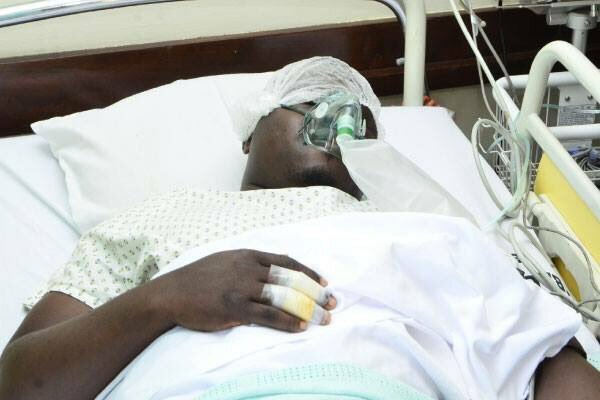 However, his lawyer Asumani Basalirwa told journalists that he anticipates security operatives to block him at the airport after police had earlier written to the hospital management, saying that the legislator can be treated at Mulago.